Home / I’m struggling to show progress in my development project. 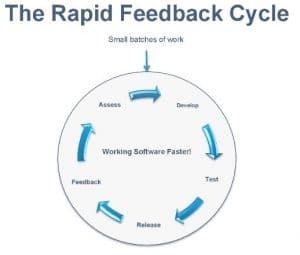 If you’re willing to make the investment to build custom software features, the RAPID FEEDBACK CYCLE is a way that progress can be tracked and wasted effort can be minimized. To learn more about the RAPID FEEDBACK CYCLE, click here.